One of our top sponsors David Sleigh from DSR has very kindly given us two pairs of tickets to the Final round of the 2014 Scottish Championship Car Racing series been held at Knockhill for Sunday 5th October. These tickets will give two lucky winners and their guess entry to the event where you will get to hang out with the team for the day. 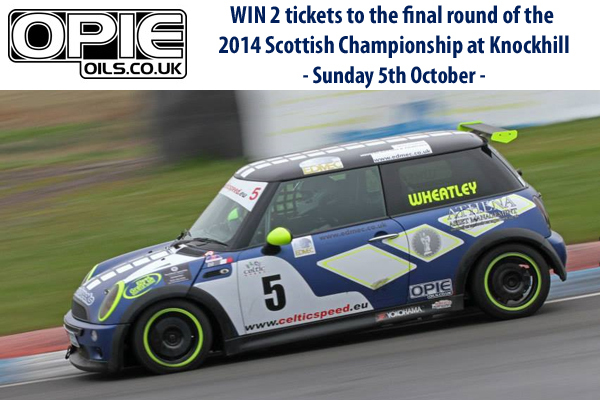 All you have to do to be in for a chance to WIN is drop us a PM titled "Give me those Knockhill tickets" together with your name and address, two lucky winners will be picked at random on Wednesday 1st October!